Utah Statewide Freight Model | Resource Systems Group, Inc.
Utah serves as an essential hub in the distribution of goods and services to the Western United States. The current large volume of statewide freight traffic raised the need for the development of a freight demand model that could forecast the impact of continually increasing freight traffic on major highways in the State. In 2011-2012, RSG designed, implemented, and validated a statewide freight model for the Utah Department of Transportation (UDOT). The objective of the Utah statewide freight model was to develop a current and policy-sensitive model of freight flows in the State of Utah. This model supports system planning analyses at a statewide level and provides a practical and useful framework for integrating freight movement considerations into the planning, development, and implementation of highway capacity investments for the UDOT, the MPOs and their partner agencies. The Utah statewide freight model uses a combination of long-haul commodity-flow-based models and short-haul commercial vehicle models. The long-haul models use an international scale and are based on Global Insight’s TRANSEARCH commodity data, the 2002 Vehicle Inventory and Use Survey (VIUS), and other local and national databases. 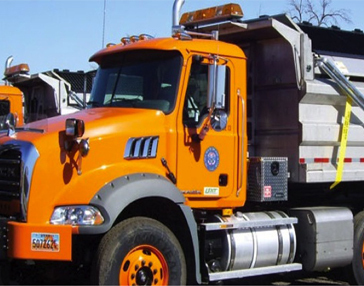 The commercial vehicle models use a statewide scale and are based on FHWA commercial vehicle research. This hybrid approach is more comprehensive than either approach by itself and accounts for all truck types. The statewide freight model is integrated with the statewide passenger model during trip assignment using three truck vehicle types (light, medium and heavy) so that congestion can be better represented in both the passenger and freight forecasting models.